Who isn’t constantly seeking new ways to get new business? 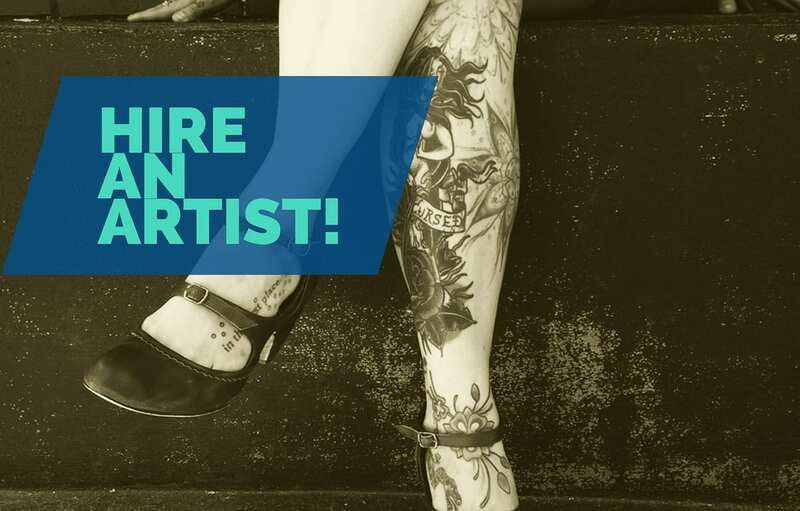 Ever considered hiring an artist as the secret to taking your company to the next level? It seems counterintuitive to hire an artist – a whimsical creature with his or her head in the clouds and habits outside of societal norms – to solve your business problem. After all, artists have a reputation for messing things up, and this is the kind of interference profit-oriented businessmen are afraid to experiment with. But it’s exactly the artist’s unique approach and way of thinking that businesses of today need. Business people using the same tools and same market-driven data inevitably come to the same conclusions. As a result, the industry as a whole develops a collective blind spot. Because artists are naturally observant of their environment, they often stumble into fresh ideas and perspectives. Being dominantly right brainers, their intuitive nature lends them well to connecting dots that have long evaded left brainers. These are people who are typically logical, analytical, and objective – qualities often found in the most successful business types. The artists’ perspectives are often labeled radical and their approach to problem-solving often considered unorthodox. But it is artists’ way of thinking that gives them an edge in approaching old problems using new ways. More importantly, artists are not constrained by concerns for profit. Their ideas, insights, and innovations are not driven by the bottom line. They are driven by what inspires them – usually plucked from the most unusual places – and create accordingly. They offer perspectives not entertained by business types before. Not surprisingly, the results are innovative business models and groundbreaking inventions. Artists are actively engaged in the production of culture. Because today’s culture shifts at a rapid pace, you need someone to help grow your business with a solid understanding of how to ride – and even take advantage of – those cultural shifts. Especially if you want to create your brand and keep it relevant – even make it profitable – in an intensely competitive market.